To begin the process fill out the form below and submit it to our customer service department. Remember to send your Sensear product to us using an insured, traceable method to the appropriate address listed on this page. We are not responsible for products that do not make it to us. Please also include with it your product and proof of purchase in the package in order for us to process your warranty request. We will gladly repair or replace your Sensear product, at our discretion, with one of equal or greater value under our 1 year guarantee. This warranty does not cover abuse, alteration, theft, loss, or unauthorized and/or unreasonable use of your Sensear product. This warranty does not cover accessories. Contact your dealer or distributor from which you purchased your product. We work in a air compressor room with average noise level at 120 decibals. 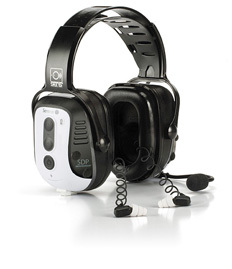 Communication is paramount, but the environment made it impossible until we purchased Sensear’s earmuffs. We now can communicate face-to-face, or go Bluetooth from anywhere without any background noise.